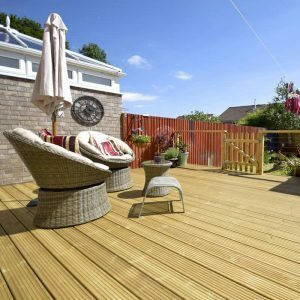 Softwood decking has always been one of our top-selling products. It often provides the link between the comfort of indoors and the pleasure of sitting in sunshine. 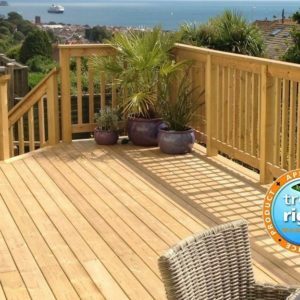 Firstly, our Premier decking boards are machined from kiln dried redwood boards with a finish size of approximately 32mm x 122mm. 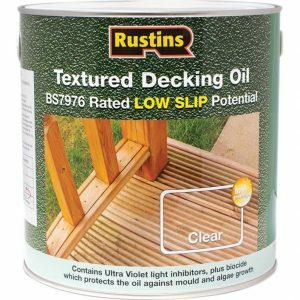 Then, after machining the decking boards are pressure treated with next generation Tanalith preservative. The stringent manufacturing process has been approved by Lonza Chemicals. 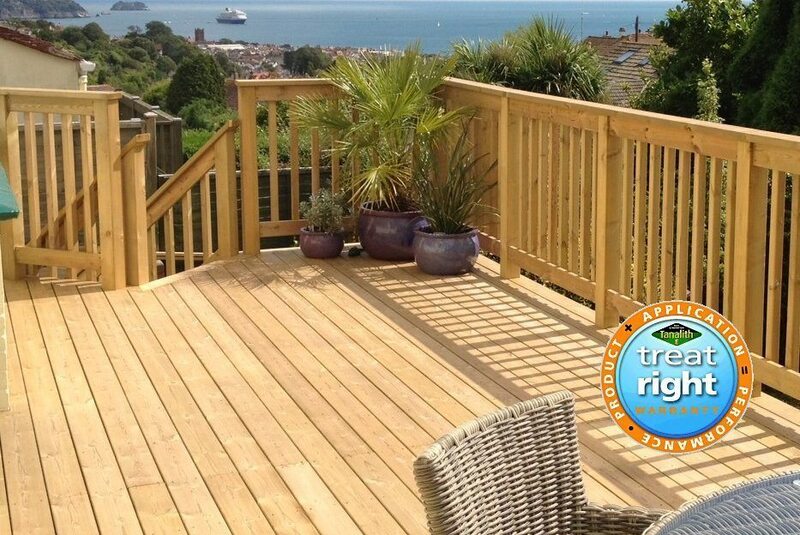 Therefore this means that these deckboards are eligible for a 15 Year Manufacturers Warranty. Two widths of smooth deckboards are stocked, 132mm and 94mm finished size. The dimensions of the 132mm width boards match our Premier boards and can be used to build a full deck or to edge sections of the decking. 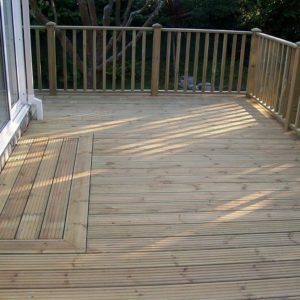 The smaller 94mm width decking boards are often used for smaller decking areas or in balustrading installations. 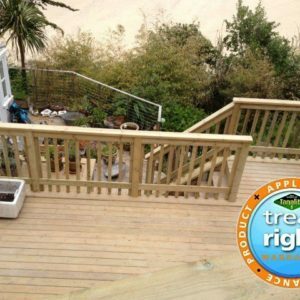 These Grit Strip deck boards use our Premier decking boards and add two infills of resin and aggregate. These low slip boards are popular on walkways, ramps, balconies or steps that are exposed to heavy foot fall. 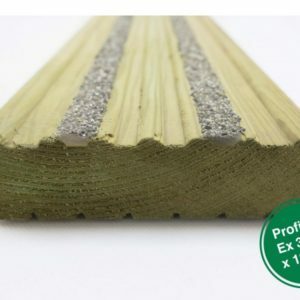 The Premier Grit Strip deckboards are designed for use in domestic or commercial installations. Finally, we also offer a range of newel posts, spindles, balustrading and tanalised planed timber from the same Manufacturer. Not only is the appearance similar but so is the quality with most items covered by the Manufacturers Treat Right 15 Year Warranty.